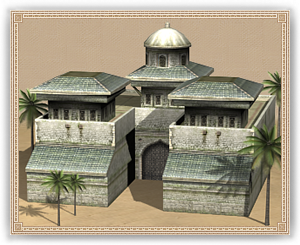 This is for all intents and purposes, the home of the Hashashim order, outside of their founding fortress base at Alamut castle. Here masters of the order train the most promising young members of the order’s darkest secrets of subtlety, sabotage, and murder. The presence of the Hashashim grandmasters shall earn notoriety for any city they call home.